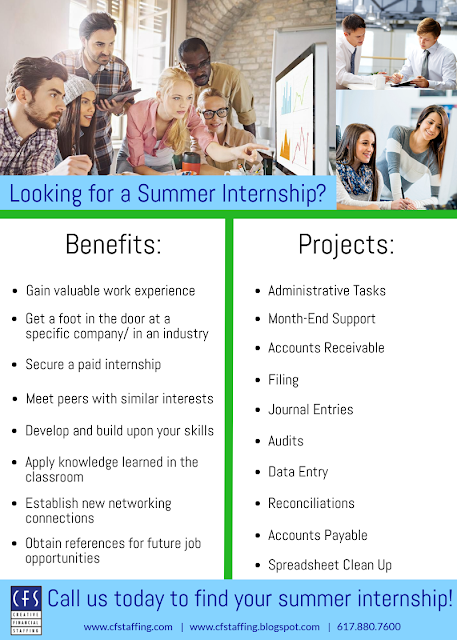 Are you looking for the perfect internship? Call us today! 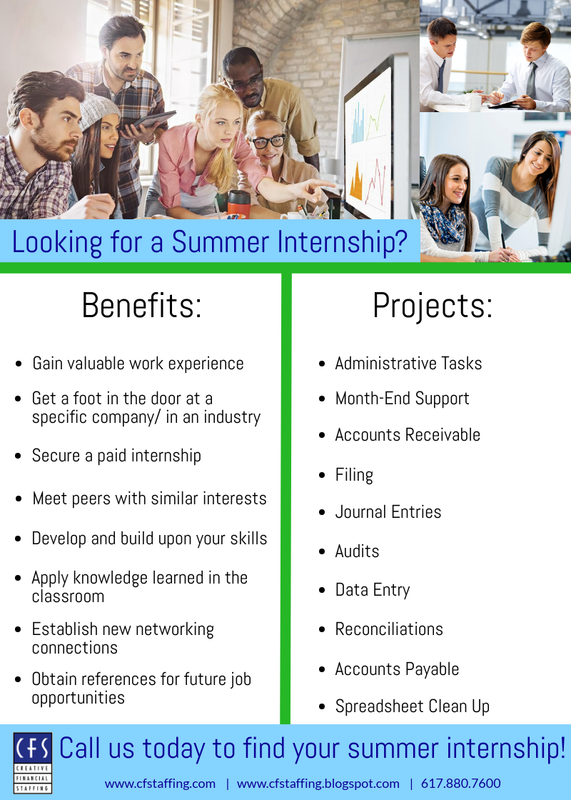 Are you looking for the perfect summer internship? Comment below or contact one of our expert recruiters today! Find the closest CFS location to you here. When you’re actively looking for a new job, you can’t afford to wing it on the organizational front. Whether you apply for five jobs or 100, you’ll soon find yourself buried in an extraordinary number of resumes, cover letters, job descriptions and interview invitations. If you don’t keep them carefully organized, you may not identify the right opportunity — or worse, you’ll flounder when the right opportunity comes along. Organizational skills aren’t one-size-fits-all. There are just as many ways to be disorganized as there are to be organized. Instead of haphazardly applying “organization tactics” to your job search, try to identify specific ways that you tend to be disorganized and troubleshoot those issues directly. For example, do you tend to lose hard copies? Digital apps will be where it’s at for you. But if you forget anything that isn’t written on pen and paper, a paper calendar or sticky note wall will be a better solution. And if you aren’t sure how you like to stay organized, try something new. If you’re usually an Apple Calendar kind of person, start using a paper planner, or vice versa. 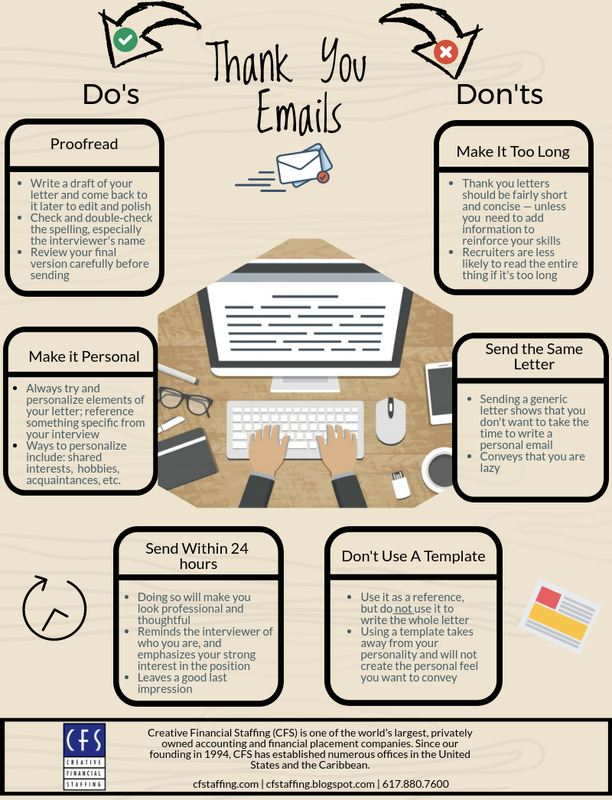 When your job search is in full swing, it’s way too easy to send an email and forget it. Not only can this cost you when you aren’t following up at appropriate intervals, but it can also make you feel like you’re constantly treading water without getting anywhere. Your job hunt becomes an overwhelming, never-ending headache instead of a systematic, purposeful journey. Combat this by starting a detailed spreadsheet that tracks all the pertinent details of your job search, such as the company, job listing and contact details. As you move through the job hunt process (and the interview process), highlight the steps you’ve “completed” so you can show yourself just how much work you’ve done along the way. There’s nothing wrong with manual spreadsheets that lists all of the job search details you need to know if it’s working for you. But if it’s not working for you — if you frequently forget to update the spreadsheet and you’re never quite sure about what your next step should be — you need to take your job search into the 21st century with a free online project management tool like Trello or Wrike. 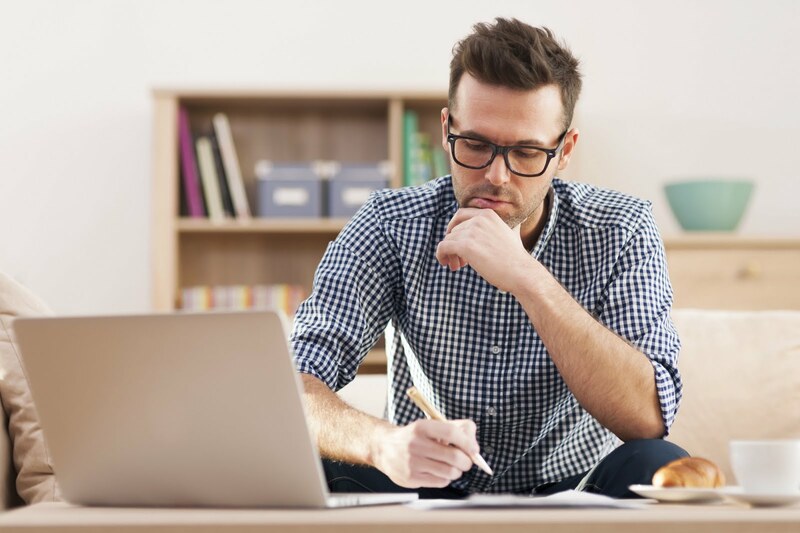 Using a project management tool as a job seeker allows you to organize all of the job search details and automate when and to whom you should send a follow-up note. You can also adjust your settings to automatically receive reminders when it’s time to update the individual jobs or check in on the progress of the hiring manager. The sticky note wall is a tried-and-true organizational method that works for writing a book, setting goals and yes, getting a new job. First, pick a large wall you can divide into 3-4 columns. 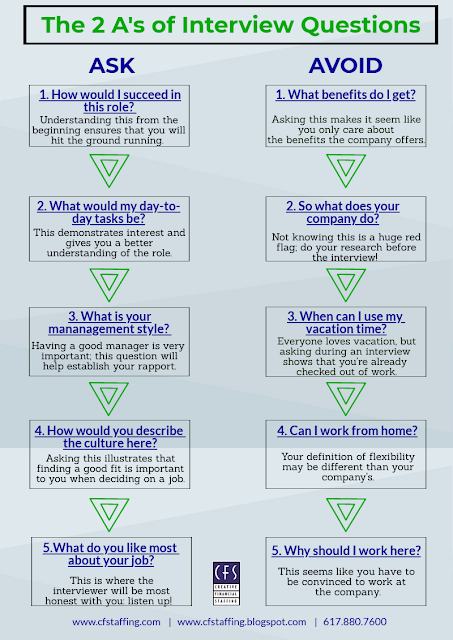 At the top of each column, mark out a different stage of the job process or your job search to-do list (e.g. “Draft Resume,” “Apply,” “Interview”). Then, write each job on a sticky note and set it in its appropriate column. As you work through your job hunt and make progress, move the sticky note to the next step. Not only can it be very motivating to see your progress in such a visual way, but it is easy to get a quick snapshot of where you are in the process by simply glancing at your sticky note wall. Pro tip: You can also use the “Sticky Notes App” on your phone or computer if a digital version of the sticky notes would save you the wall space. If you’re speaking to one or two prospective employers each week, it can be tough to remember who’s who and what you talked about. If you don’t take careful notes, you may unwittingly repeat yourself or send a thank-you note to the wrong person and reference the wrong conversation. Talk about awkward! 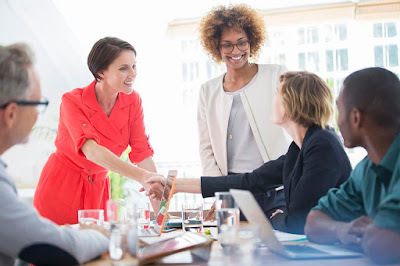 If that sounds like something that could happen to you, use a free tool like Microsoft OneNote or Evernote to keep track of the meetings you have. For extra memory help, pull the LinkedIn photo of the person you’re speaking with into the note sheet and capture notes like the person’s company, job title and location. Not only can you look at a picture of a real person when you’re in the midst of a phone screen interview, but you can also easily go back and remember who you spoke with when you’re considering job offers or writing thank-you notes. If you find yourself putting off your job search or simply not looking forward to any part of the process, you’re letting the discomfort of a job hunt distract you from the reason you’re looking for a new job. Get back in the right headspace by bringing the focus back to what motivates you. Make a list of the reasons you’re looking for a new job — toxic workplace, skipped over for a promotion, low salary, etc. — and keep it in a prominent place. Not only will this motivate you to stick to your plan and find a new job, but it will also prepare you for the interviews ahead by keeping your deeper purpose of your job search front and center. Little tasks can pile up, especially if you’re managing a full-time job during your job search. Instead of spending a whole day on your job hunt once a month and getting frustrated with your lack of progress, set short but regular periods of time to check in and make consistent progress. A half hour two or three times a week will ensure that you’re responding to hiring managers at appropriate intervals and staying on top of new opportunities as they come out. A job search is a job of its own: you’re practicing time management, patience and even customer service as you balance your search with your current job. But you don’t have to let the complexity of all the resumes, cover letters, applications and interviews throw you off. Just find an organizational method that works for you so that the energy you put into the job search pays off with a new job — not a new headache! Read the original article posted on Glassdoor. 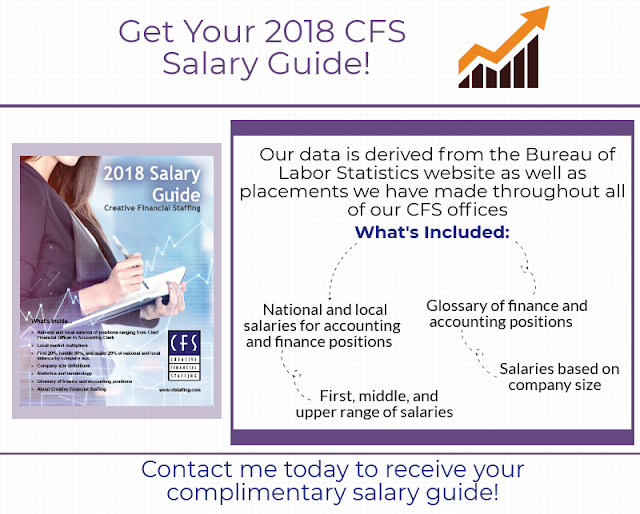 2018 Salary Guides available now! To receive your complimentary 2018 Salary Guide please reach out to one of our recruiters. Click here to see a list of all our locations.